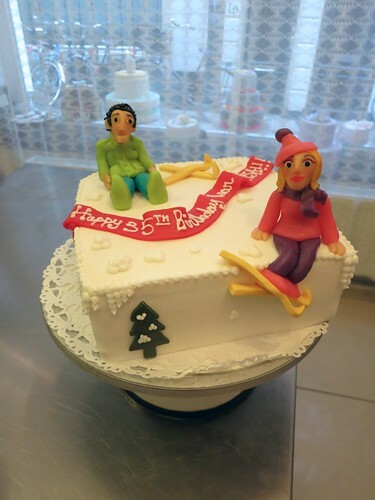 Skiing Cake, a photo by CAKE Amsterdam - Cakes by ZOBOT on Flickr. Birthday Cake for a mad keen skier! FLAVOR : Chocolate Cake with rich Chocolate Ganache and raspberries.